Well, it's new all over on the second floor. If you haven't shopped Forever 21 on 34th Street in a while, you're in for a big surprise: this store is now so much easier to shop. First, there's all the really pretty displays featuring the latest trends, like black and white. Then there's the section where GapKids and babyGap used to be, on the second floor of Herald Towers overlooking Broadway (Gap and Forever 21 are in the same building). 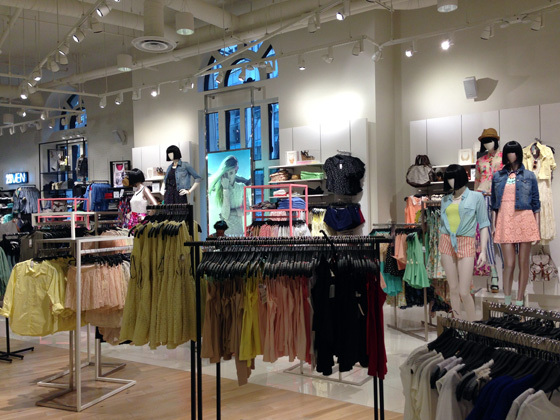 Now it's all Forever 21 with light coming through the windows. Lovely! 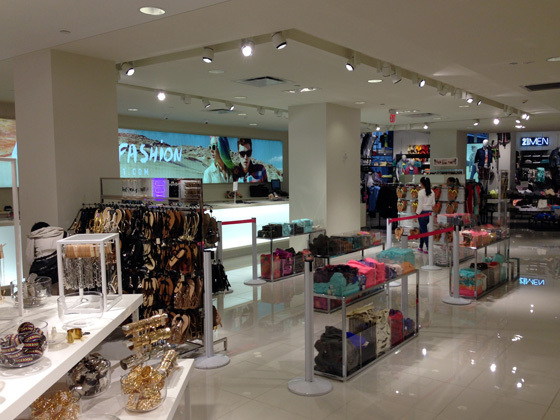 Remember what the old accessories department looked like in Forever 21 on 34th Street? This is a HUGE upgrade. 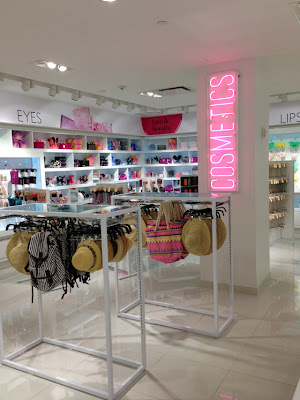 Also, there's a beauty section. A huge improvement on 34th Street. Of course, I was there at 9am this morning which accounts for the lack of line at the dressing rooms and checkout. 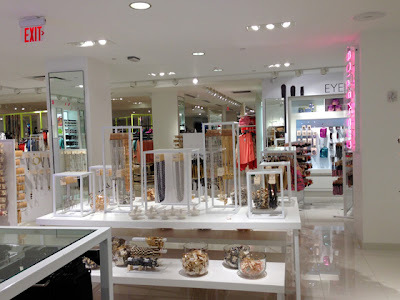 I highly recommend an early morning trip; Forever 21 is open at 8am on 34th Street, so you can stop by on your way to work. Ruby and Jenna Pop-Up: Last Day is Tomorrow! 34th Street Weekend Picks: Summer Sales! 34th Street Weekend Picks: Father's Day and More! Desigual by Lacroix: The Pants, Etc.